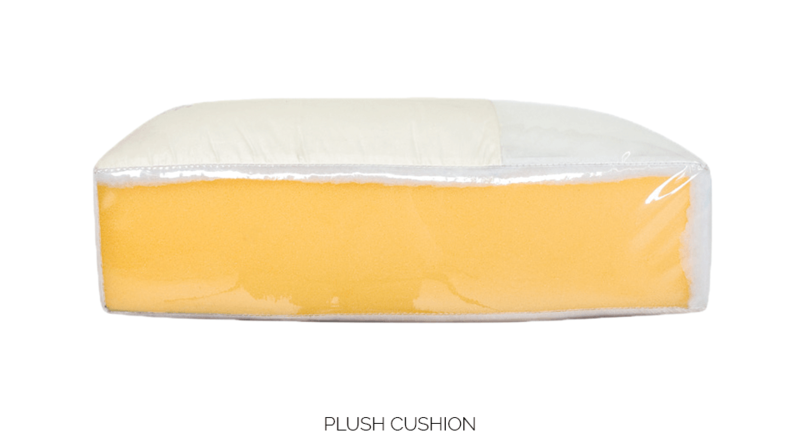 Plush is a very durable, yet soft cushion. It is constructed using high resiliency 1.8 density foam, which is layered on the top and front with fiber. The cushion is then inserted into a channeled down-proof cover that has been filled with blown polyester fiber on top. 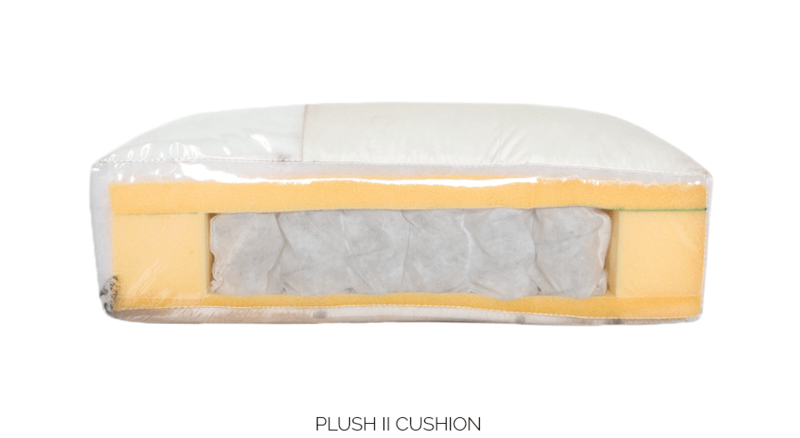 Plush comes with an optional spring core construction called Plush II. The Plush cushion is only available on certain styles. Please refer to the price list for standard cushion and options information for each style. 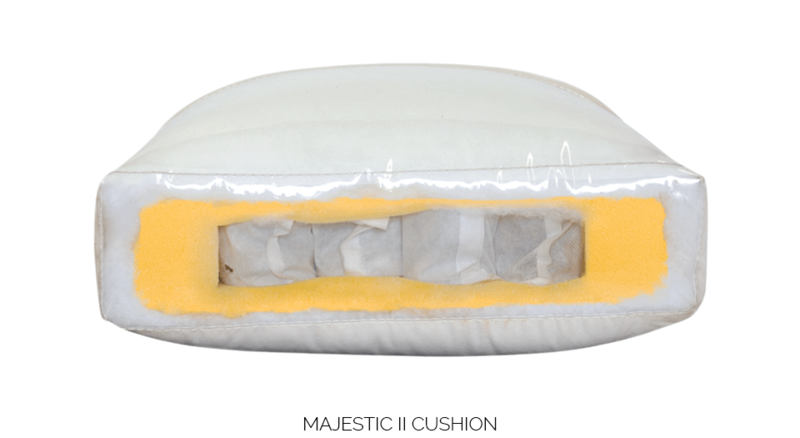 Majestic is handcrafted beginning with a high resiliency 1.8 density polyurethane foam core. It is then covered, top to bottom, with a generous layer of soft polyester fiber. For additional cushion crown and a soft, plush look, it is inserted into a channeled down-proof cover filled with blown polyester fiber. Majestic comes with an optional spring core construction called Majestic II. 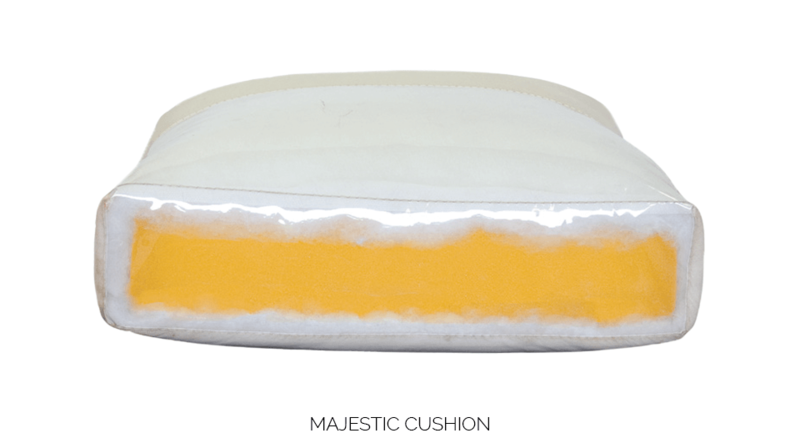 The Majestic cushion is only available on certain styles. Please refer to the price list for standard cushion and options information for each style. UltraDown is the ultimate in wearability and comfort, a resilient high-density foam core, edged in bonded polyester fiber; down proof ticking with sewn-in gussets filled with prime waterfowl down, and waterfowl feathers. 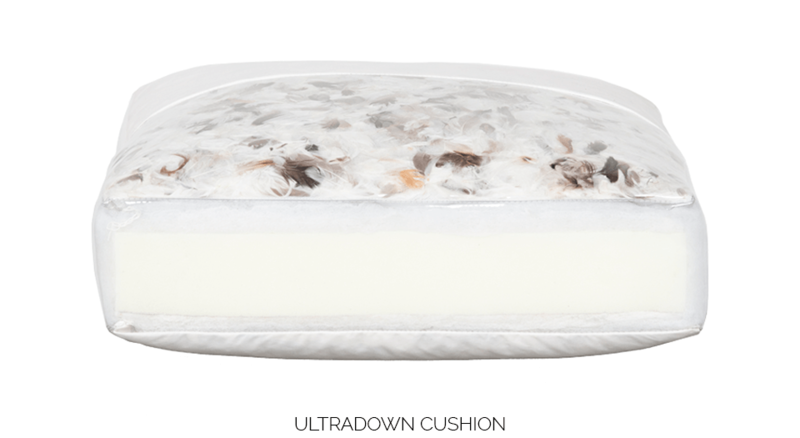 High-grade polyester fibers encase the entire cushion. UltraDown comes with an optional spring core construction called UltraDown II. 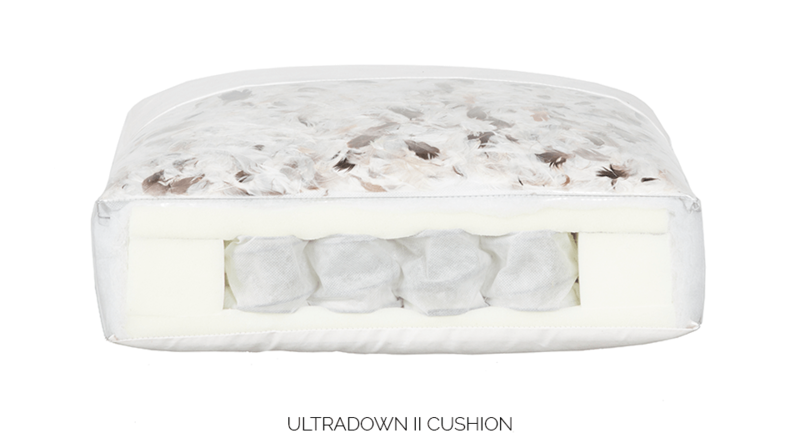 The UltraDown cushion is only available on certain styles. Please refer to the price list for standard cushion and options information for each style. NOTE: Due to the individual construction features of each style, not all cushions are interchangeable. Requests for custom cushions can be accommodated. Please call your customer service representative for pricing information.